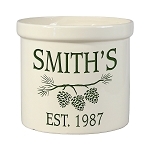 Personalized stoneware crock is custom made, quality crafted. 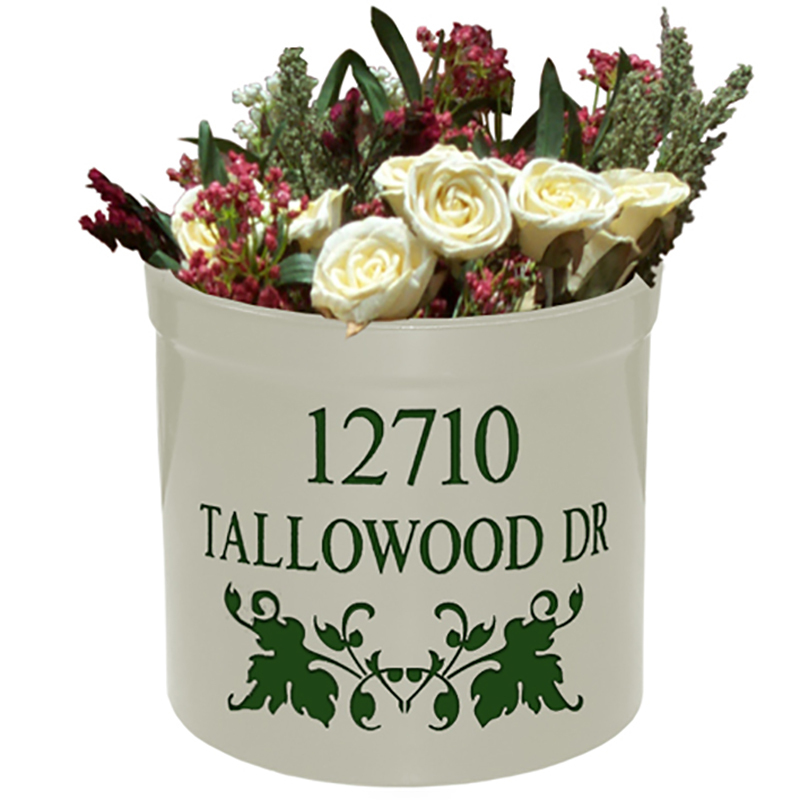 - Designs are deeply carved and clear coated for durability. 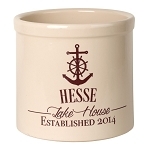 Manufactured from clay found in the famed Roseville area of southeastern Ohio and fired there in century old kilns. Our crocks have many uses including planters, kindling, magazines, yarn, and keys. 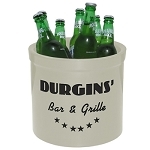 They even make a great ice bucket. 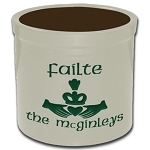 Great gifts for housewarming, wedding, anniversary or other special occasion.